Hareidi Orthodox leaders are organizing a rally in NYC to protest against the dangers of the Internet and modern digital technology. Hareidi Orthodox leaders are organizing what they say will be a massive rally in New York City to protest against the dangers of the Internet and the intrusiveness of modern digital technology. Tens of thousands are expected to gather at Citi Field, the Mets’ baseball stadium in Queens, on May 20. Jewish Daily News reported that as of now, $1.5 million has been raised to fund the event. Statement and advertisements promoting the event have been published in hareidi religious newspapers. “It is well known, that in recent times, that through the Internet many serious family-related problems have been created, and it all happens because of it, and something must be done so they won’t be hurt,” the statement said. The letter is signed by a number of leading Israeli hareidi-religious rabbis. 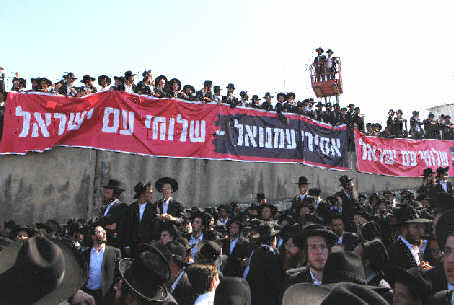 As technology continues to increasingly influence the way people receive and relay information, hareidi and ultra-Orthodox factions of the Jewish community have been instituting restrictions against access to the Internet, believing that it has much content that is immodest and unsuitable for the hareidi viewer. Since it can essentially be totally private, the danger is that not everyone will not withstand the temptation to turn to unsuitable sites. National religious educational institutions have not banned the internet, but are trying to raise the awareness of parents and students about the need to restrict internet and use discretion in Facebook and other social media. Last month, an Orthodox Jewish girls’ high school in Brooklyn, N.Y., ordered students to close their Facebook accounts, or risk paying an $100 fine, or expulsion.